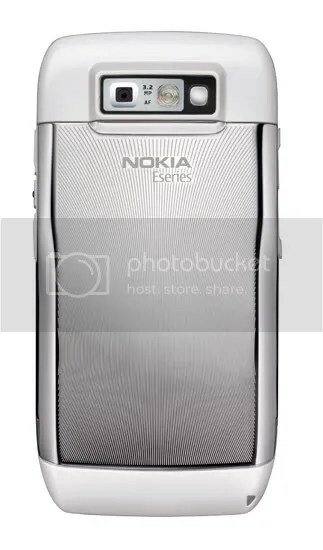 The Nokia E71 is the successor to the Nokia E61. It will have a 3.2 megapixel autofocus camera with macro focus of 10-60 cm, GPS with integrated A-GPS, WiFi, HSDPA, weigh 127grams and be only 57 x 114 x 10 mm, smaller than its predecessor for one hand usage. The screen is 320 x 240 pixels (QVGA) resolution with two customisable home screen modes similar to the E66 (Nokia learnt that people like me uses the E series for playing games too, haha). 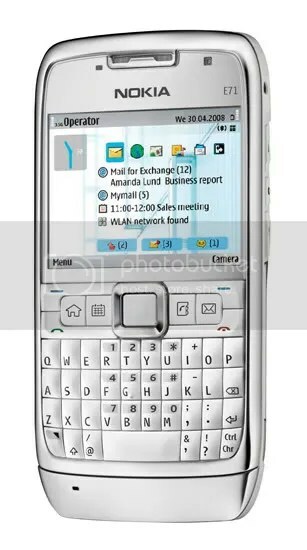 The buttons look Treo like, due to their raised nature and it has an accelerated scrolling with NaviTMKey. With 110 MB internal dynamic memory and increased to maximum 8 GB with amicroSD memory card slot similar to the E66. Has patterns on the back metal casing similar to the E51. Seems very much enhanced, but no standard earphone jack?